Undefeated and No. 1, Florida State came through in the clutch late to capture the final title of the BCS era, topping Auburn, 34-31. After giving up a late lead to Tre Mason and the Tigers, Jameis Winston and the Seminoles marched quickly back up the field for a game-winning touchdown with just 13 seconds left. With help from a costly pass interference penalty and a 7-play, 80-drive where Winston was 6-of-7, Florida State ended the SEC’s lengthy title streak and closed the BCS era out with style. Florida State ends the era as the only non-SEC team to win multiple BCS titles. The BCS was never much more than a result of the staples that have long ruled college football — tradition, formality and prestige. Pair teams that should play each other together in a bowl, sure, but make sure they’re also the biggest names. As the BCS sings its swan song, habits that seem old — like the SEC always being in the driver’s seat for the national title — are actually recent developments of the BCS era. But in 2013 it looked like there might be a chance to end the streak just before the BCS met its own end. Then Michigan State stepped in the way. The Spartans topped Ohio State and the SEC’s Auburn will face Florida State in the national title game. Not only that, but the SEC lands the No. 3 team in the country, Alabama, in another BCS bowl automatically, and ends the year occupying nearly half of the BCS’s top 10. And so the BCS ends just like it was supposed to — granting 10 berths to 10 teams from the “power” conferences, though the AAC might have lost its claim to power long before it lost its “Big East” name. The Big 10 and Pac-12 champions will meet in the Rose Bowl. The Fiesta Bowl will feature the Big 12’s champion. And the Sugar Bowl will get the replacement team of its dreams in Alabama. The BCS worked just like it should have, whether you liked it or not. We were just trying to make sense of it as it was handed down. Some times we could, some times we couldn’t. Not a great final showing, so be it! This is too much fun to be sad about. Again, we’re looking at a much different BCS Know How moving forward. We’ll figure it out after bowl season, which should actually be a ton of fun. 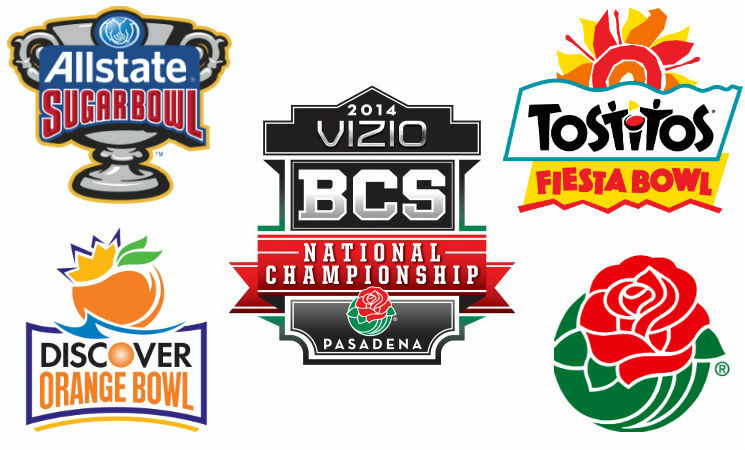 Check out the non-BCS bowl schedule, too, if you’re looking for some interesting action. Florida State finishes the year atop the computer rankings and the BCS poll, claiming four of six top spots in the BCS computers. Auburn grabs No. 2, while Alabama ends the year as the No. 3 BCS computer team. 1 Florida St. Florida St. Auburn Auburn Florida St. Florida St.
4 Alabama Michigan St. Ohio St. Stanford Michigan St. Michigan St.
We take one more trip to the BCS this season, with five BCS bowls, 10 teams — fittingly all of which are from the “original” power six conferences that formed the basis for this change in championship crowning all those years ago. These pairings are according to multiple reports from early Sunday. For more information on how the teams were selected, head over to the BCS Bowls page. BCS National Championship Game in Pasadena, Calif. It seemed like it was going to play out just like we hoped — drama, controversy and loud yelling until the day the BCS died. And then Michigan State had to ruin all that. When Auburn took the SEC title during its Saturday matinee television spot, the debate started to ratchet up. If Ohio State won the Big Ten title, would they be headed to the BCS title game or could Auburn jump the Buckeyes? Turns out it didn’t matter. Michigan State surprised the nation, ending Ohio State’s 24-game winning streak and giving Auburn the chance to grab No. 2 in the very last BCS standings. With that, the title game is set. As are a few other of the yearly BCS scenarios we’ve come to love and count on each season. Meanwhile, the BCS standings, after electing Florida State No. 1 and Auburn No. 2, will probably play out as expected. Alabama is likely to end the year at No. 3, followed by conference champions Stanford and Michigan State. Then expect Ohio State to land around No. 6 after its first loss in more than two years, followed by Baylor and Missouri, Oklahoma and South Carolina, and Oregon and Oklahoma State. As for what to expect for tomorrow: We’ll get the Coaches’ Poll normal time, around noon ET. Then things will be quiet. We expect to have Jeff Sagarin’s BCS computer rankings early, but who knows for sure. The Harris Poll will be withheld from public viewing until after the BCS pairings are announced to keep some “drama” but since most of the drama is gone, take that as you will. Then, around 8:30, the numbers will start pouring in and the pairings will be announced and we’ll be on our way to the final BCS season. Remember, we’ll be here to take you through all of it, starting with tomorrow’s releases of the human polls, computer rankings and BCS. Follow along all day @BCSKnowHow and here to stay up to the second with projections, mathematical breakdowns of the computers, human polls and everything in between. On a programming note: Obviously things around here are going to change very soon. This has been a ton of fun to do. More on what’s next after the craziness of tomorrow. Thank you all! 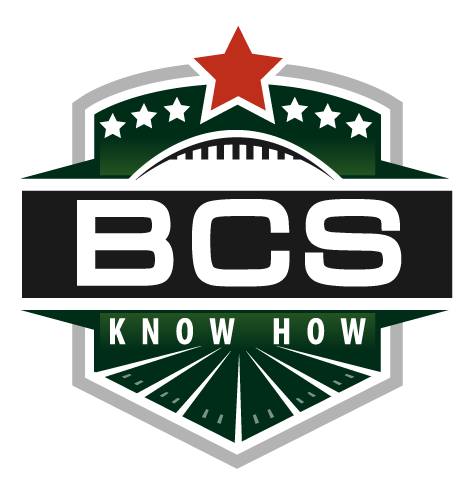 The BCS — at least the part that everyone hated with an undying passion — ends Sunday. But the bowl games, which could range anywhere from epic showdowns to embarrassing blowouts, will stretch into January. When a BCS season ends like this one did, though, there isn’t much to say other than to just try as best as you can to relive the great games that filled the final week of the season. Comment: Auburn waited all day to see if they’d either have to bite their fingernails or be a little less frazzled come Sunday when it came to their national title hopes. It turned out that Michigan State was ready to help the Tigers out, so Auburn will be walking into Pasadena with a chance to close out the BCS era with another SEC national championship. They’ll meet No. 1 Florida State, the only team to finish the year undefeated in regular season play. Comment: Stanford certainly looked the part of Pac-12 champion against Arizona State in the conference title game, and for that the Cardinal will be on their way to the Rose Bowl as Pac-12 champs. They’ll get the chance to take on Big Ten champions Michigan State, who closed out its season with a huge victory over Ohio State in the Big Ten title game, clinching their spot here. Comment: Alabama will get the first look from the Sugar Bowl when it tries to replace its lost SEC champion in Auburn. Sure, the Orange Bowl will have a first shot to replace Florida State, but knowing the way the BCS bowls work, the Sugar Bowl and Orange Bowl are sure to work out a way to share the responsibility of getting their fans what they want. Oklahoma would be a nice pairing for the Sugar Bowl’s final BCS bow. Comment: Clemson will be the first place the Orange Bowl will look when trying to replace Florida State, but the real question and big story here will be how the bowls treat Ohio State. The once-beaten Buckeyes looked ready for a trip to the BCS title game, but instead will be missing out on the chance to close out the BCS with a title. Instead, the Orange Bowl will have a chance to pick first and third, and could pick a variety of teams to square off with Clemson, but Ohio State looks like the pick. Comment: A final weekend of classic BCS football played right into Baylor hands. First, Northern Illinois dropped its final chance to secure a BCS bowl bid, opening up the door slightly for the Bears to get an at-large bid. But come Saturday night, Baylor was playing for it all — a Big 12 title opportunity after Oklahoma State faltered. And with a victory over Texas, Baylor is BCS bowl bound. They’ll likely get AAC champion UCF as the Fiesta Bowl will be saddled with the last pool choice pick, which in all likelihood will be the Knights. Michigan State ended Ohio State’s 24-game winning streak in the Big Ten Championship Game and in turn clinch a spot in the Rose Bowl. This will be Michigan State’s first-ever appearance in a BCS bowl and first appearance in the Rose Bowl since 1988. Michigan State knocks Ohio State out of a potential spot in the BCS title game, giving the Auburn Tigers the inside track on keeping the title in the SEC. In the meantime, Michigan State will likely be on its way to Pasadena to face off against Stanford, which punched its ticket earlier Saturday night.